There are some apps that automatically launched by Windows upon booting. Typically, the apps that are launched upon booting are the ones related to system, like driver, antivirus and so on. Apps that are automatically launched upon booting are called startup apps. Having too many startup apps can slow down the boot time as some apps might consume enough system resource. You can manage the startup to prevent certain apps from being launched upon booting. 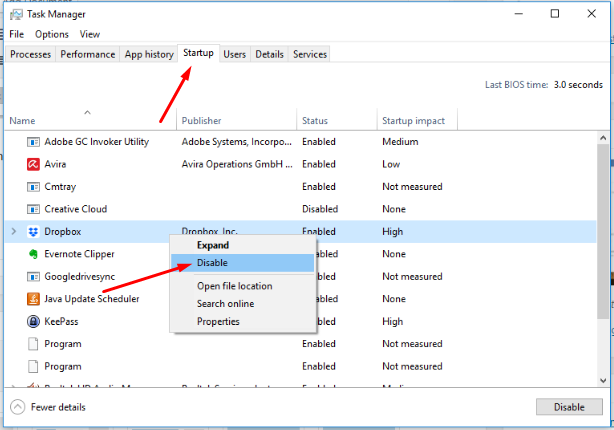 In Windows 10, there are several ways to manage startup apps. 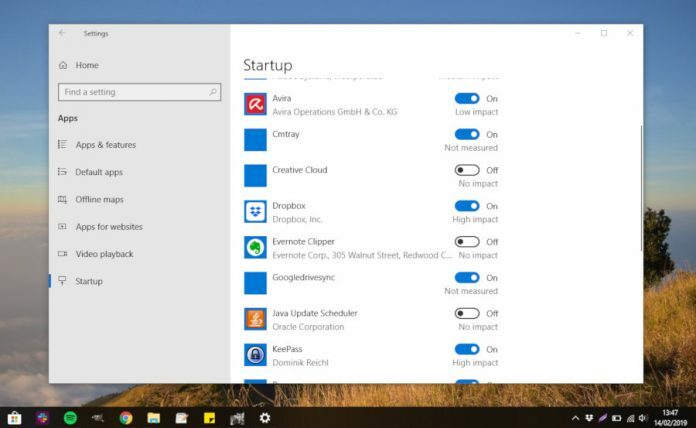 One of ways to manage startup in Windows 10 is via the Settings menu. To do so, open the Settings menu by clicking the start menu and click the gear icon. 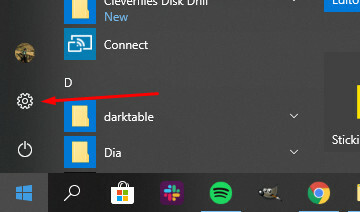 Select Apps on the Windows Settings main window. Click the Startup option on the left panel. Select apps you want to disable the startup of and slide the button from on to off. You can also manage the startup in Windows 10 via Task Manager. 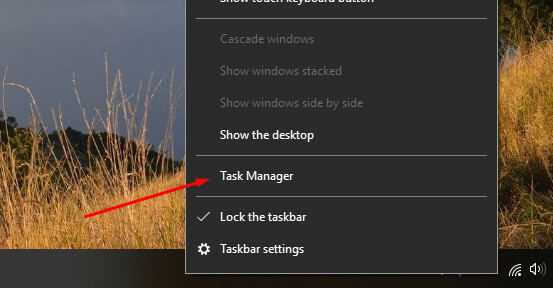 To do so, open Task Manager by right-clicking an empty space on the taskbar and select Task Manager. 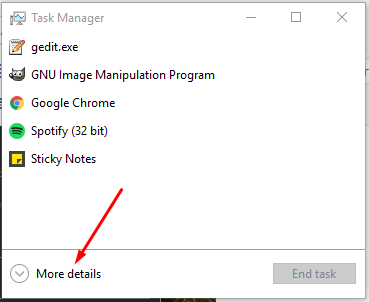 If this is the first time you open Task Manager in Windows 10, it will open in a compact mode. Click More details to expand it. Click the Startup tab. 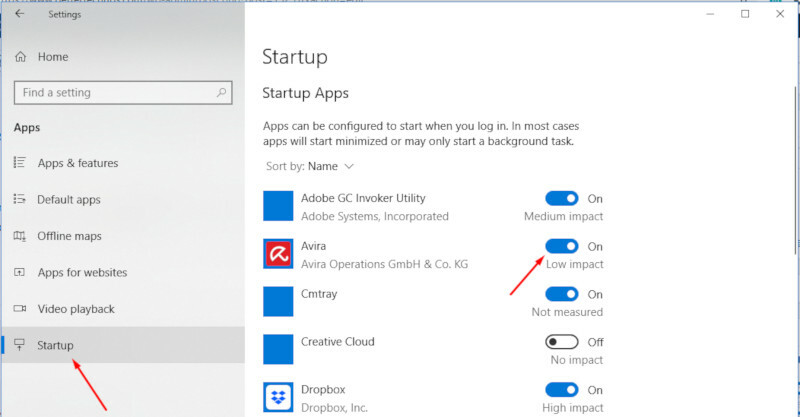 Select the app you want to disable the startup of, right-click and select Disable. 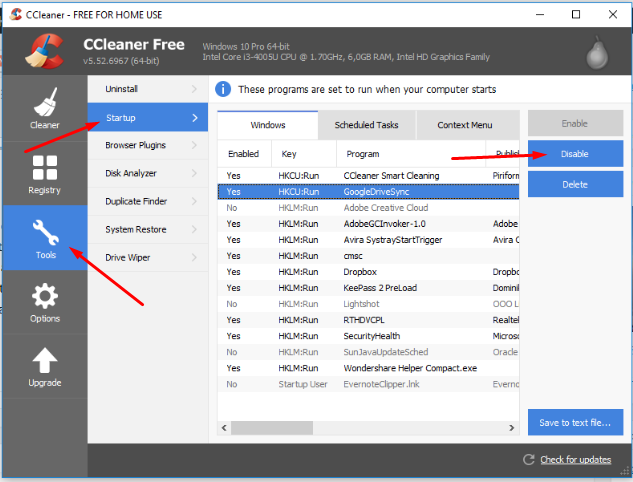 If you use a system cleaner on your PC (like CCleaner, Glary Utilities or Clean Master), you can also manage the startup using it. In addition to deleting junk files, a system cleaner app typically also has a feature to manage startup. If you use CCleaner, you can click the Tools menu. Select Startup option and click the app you want to disable the startup of and click the Disable button. Removing some apps from startup might can speed up the boot time of Windows since some apps consume enough system resource. Some app types that might include a component that starts along with Windows are antivirus software, client apps of cloud storage service, system cleaner and so on. Please note that if you have disabled a startup app, Windows might doesn’t stop the app from running immediately. Instead, it only prevents it from running automatically upon booting.